Families creating summer reading lists for the children will want to include Valley of Fire, the second installment of the fun and educational Black Rock Desert trilogy written by UC Agriculture and Natural Resources Cooperative Extension farm advisor Rachael Long. 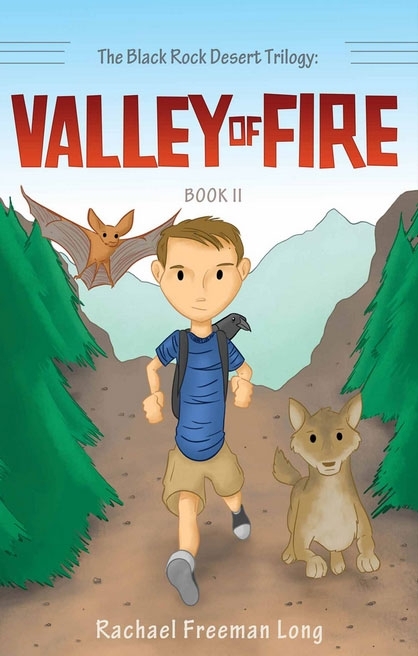 The story centers on 10-year-old Jack's return to the Black Rock Range for a summer of swimming, gold hunting and hanging out with the wildlife friends he made in the first book: Sonny the coyote and Pinta the pallid bat. But peace is soon shattered by the howls of ferocious wolves, a sudden illness in the family, and the plight of Jack's uncle, who is knocked unconscious by two ruthless cattle rustlers. Jack and his animal pals have no choice but to embark on a perilous trek to rescue Uncle Ray from armed and dangerous criminals, and make sure justice is served. Jack exhibits maturity and good judgement – packing a loaf of bread and jar of peanut butter to keep him and the animals sustained through the ordeal. He is crafty, finding a safe haven on top of a large bolder when threatened by the pack of wolves. He is resolute, hiking for hours in rough conditions, tracking clues, and carefully tending to the injuries of a raven harmed by the rustlers. Children will be so captivated with the adventure, they will not realize they are learning. Valley of Fire is the second book in Long's Black Rock Desert trilogy. Pinta has pink wings folded against her golden-beige fur. 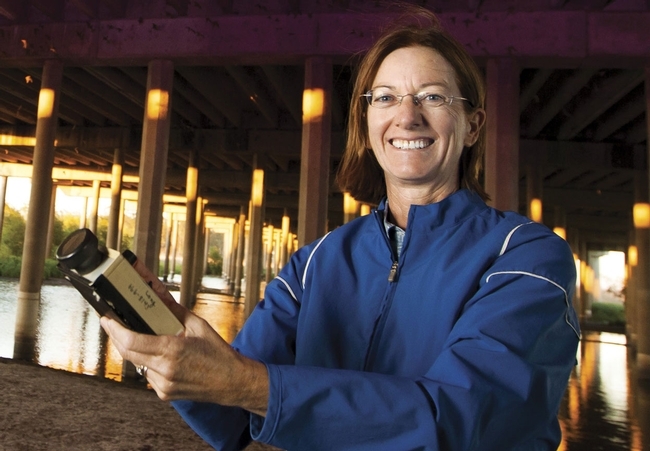 Readers learn she uses echolocation to see in the dark and sprays an odorous gas when threatened. Jack's curiosity adds facts about bats to the book. “Pinta, doesn't your blood rush to your head and make you dizzy when you're hanging upside down?” he asks. “Doesn't your blood rush to your feet when you stand up?” she replies. The environment is an important part of the narrative. The first book in the Black Rock Desert trilogy, Gold Fever, was published in 2012, but the stories go back much farther. During long commutes, Long would tell her toddler son about Jack's adventures. Her son is now 18. Long's personal affinity for bats made Pinta an indispensable part of the story. As a UC ANR farm advisor, Long researches bats' contribution to agriculture. She recently studied the economic value contributed by bats in terms of pest control in walnut orchards. For a typical 80-acre orchard producing 136 tons of walnuts per year, she estimated that bats protect about 6 percent of the crop yield, or $29,700 worth of walnuts per season at the current price of $1.65 per pound. Long also authored the UC publication Songbird, Bat and Owl Boxes, which outlines methods for integrating nest boxes with farm management, provides details on construction and maintenance of nesting boxes, and provides information on other sources of reliable bat information. The publication includes plans for building a wildlife nesting house. Her children's books, Valley of Fire and Gold Fever, are available for $11.99 each from Tate Publishing. The books can also be published on Amazon.com. The final book in the series will be published in 2016.